With all of the food, farmers, animals, demos, and beer, we may miss something. Let us know if there are any ideas you have or things that you are curious about. Guidance is always good when crowds, grease and beer are involved. If you want to share a story or photos, that too is always appreciated. Send anything pertinant to info@simplegoodandtasty.com. Meanwhile, please participate in our state fair food poll on the home page and comment on anything we left out. 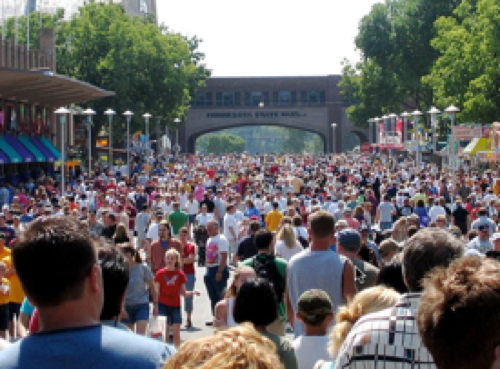 If you haven't found it yet, we have created a new category to keep all of our past and present state fair articles in one place. You can go there now by clicking here. Have fun...and don't forget your floss! The crew at Simple, Good and Tasty.